We receive and store information you enter, including when you search for or buy a product, or when you supply information such as your address, phone number or email address. The decision to provide certain information is optional. Should you choose not to provide the requested information, then you might not be able to take advantage of some or all of our website features. We use the information that you provide for such purposes as responding to your requests, customizing your future shopping experiences, improving our website, and communicating with you. Information sharing can provide a valuable opportunity to be introduced to new resources and products that are compatible with your interests and needs. With this enhanced experience in mind, we may receive information about you from other sources and add it to our account information. This may include updated delivery and address information from our shippers or other sources so that we can correct our records and deliver your next purchase or communication more easily. It is important to note that in some cases we must share your personal information with one or more or our partners in order for you to receive their products or services. We use your information to provide you with a more customized shopping experience. As noted above, you may choose to opt out of this customization and shop anonymously. Occasionally, we might establish a business relationship with other persons or entities whom we believe trustworthy and whom we have asked to confirm that their privacy policies are consistent with ours. These are known as our Preferred Partners. In such cases we might share, cross-reference and/or exchange information, including contact information about you that will enable such persons or entities to contact you regarding products and services that may be of interest to you. In an effort to provide you with a more enjoyable shopping experience, we may combine information you give us online, in our stores or through our catalogs. We may also combine that information with publicly available information and information we receive from or cross-reference with our Preferred Partners and others. We use that combined information to enhance and personalize the shopping experience of you and others with us, to communicate with you about our products and events that may be of interest to you, and for other promotional purposes. We may contract with companies or persons to provide certain services including credit card processing, direct order fulfillment, shipping, data management, promotional services, etc. We call them our Service Providers. We provide our Service Providers with the information needed for them to perform these services, but they may not use it for other purposes. We also ask our Service Providers to confirm that their privacy practices are consistent with ours. We may send you special offers from time to time, unless you choose to opt-out of receiving such offers. We will not send you special offers from other companies. Please see the opt-in/opt-out selection at the end of this policy. It is your choice whether to receive emails or special offers from us. The following section provides you with information on how to exercise this choice. Please make note of our default settings. To delete your name from our email contact lists, you can choose to unsubscribe using the “unsubscribe” option provided at the bottom of the email you receive, or you can contact us via email or postal mail and request to be removed from our mailing list. To request to have your name removed from the catalog mailing list, contact us via e-mail or postal mail and let us know that you no longer wish to receive our catalog or other mailed promotional materials. We appreciate your patience while we process your request, and will make every reasonable effort to comply as quickly as possible. If you have already opted out, you do not need to opt out again; your information will not be used for purposes other than the customer service you have requested, unless you affirmatively ask to opt in again, in which case you will be opted in and will receive emails from us until you again request to be opted out. This online privacy applies to only to information collected through our website and not to information collected offline. Because we value your privacy we have taken necessary precautions to be in compliance with the California Online Privacy Protection Act. We therefore will not distribute your personal information to outside parties without your consent. 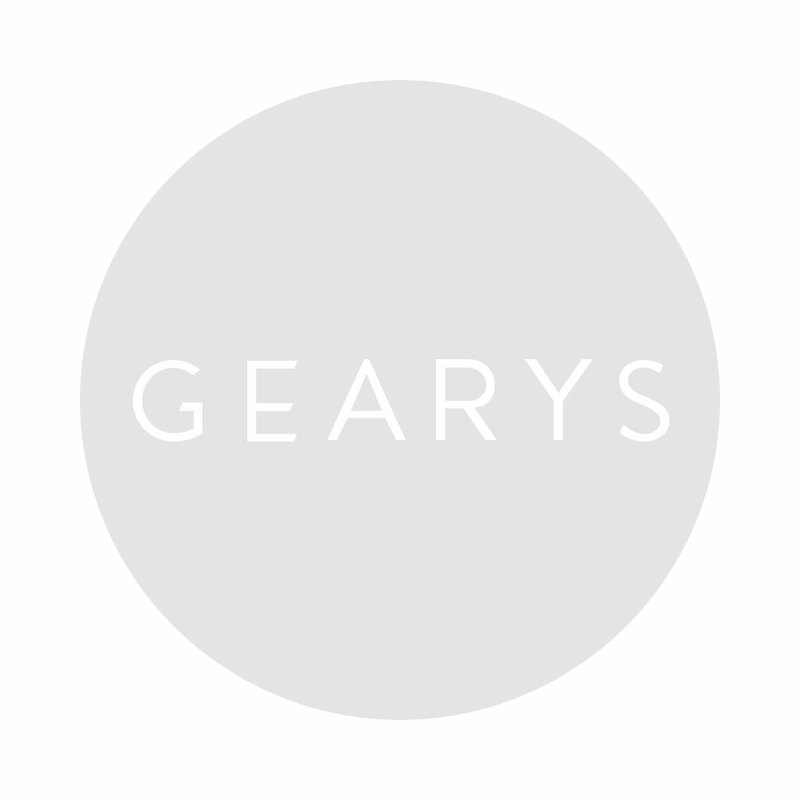 GEARYS adheres to a strict privacy code regarding children and does not knowingly accept personal information from any child under the age of 13. If it is brought to our attention that we have inadvertently received personal information from a child under 13, we will immediately remove all personal and identifiable information from our records in compliance with the Children’s Online Privacy Protection Act of 1998.